Once again, the approach of the Winter Solstice got me ruminating on the passage of time, and the effects of the changing seasons. Now that I’m in Provence (as opposed to Northern California), the delineation among them is sharper. 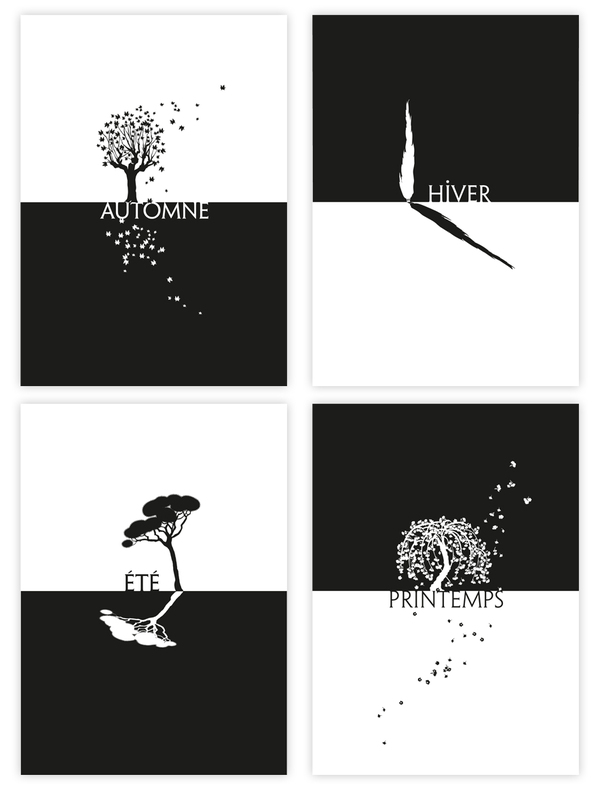 I chose four common (if not indigenous) trees that suit me as emblems for the different times of year. Cypress, also a symbol of death, as they are typically planted in cemeteries around here, for Winter. Japanese Weeping cherry for Spring (bringing along all the symbolic baggage from it’s country of origin). The home-grown Pin Parasol for summer, under whose umbrella we seek refuge from the fierce Midi sun. And the doomed Platane (sycamore), which holds an integral position in the French landscape. After drawing the trees with colour (first, hand-drawn, then retraced as vector art in Illustrator), I felt the urge to simplify: I am very taken with black and white these days. Only after I had drawn them all, I realised that Spring and Fall, the transitional seasons, both showed trees in the process of transformation, losing flowers and leaves. As often is the case for me, the concept comes after the execution. 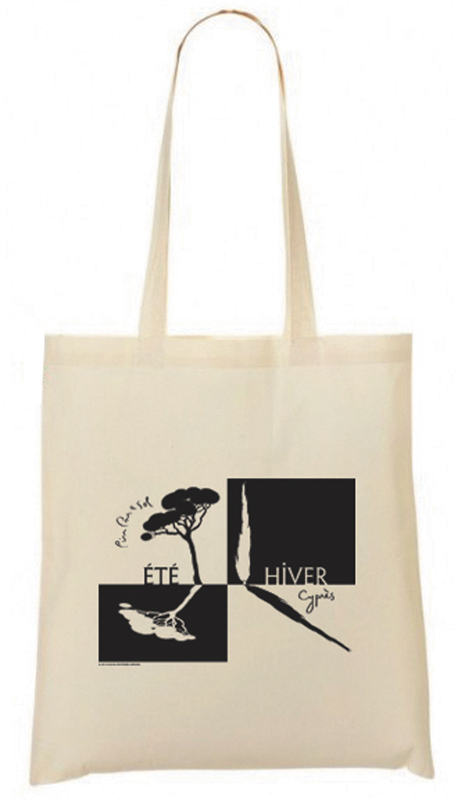 I also took two of the drawings to create a shopping bag (100% organic cotton!) using the very capable Bagart, based here in France. De plus, cela ressemble aux aiguilles d’une horloge pour le temps qui passe…C’est très beau! !